MiMA's CEO, Kathrina Miranda, mentors hundreds of young entrepreneurs from underserved communities in the San Francisco Bay Area. Inspired by their creativity, innovation, and passion to solve problems, Creative Lab was born. Creative Lab is a safe place for students to receive business training, gain real-world experience and earn a decent wage for their work all while paying it forward in their communities. Many of their projects focus on developing and implementing solutions to social, cultural, or environmental issues through entrepreneurship and technology. Please consider Creative Lab students for your business needs or contribute to our scholarship program. Student services include: graphic design, video production, photography, music production (original raps and beats), market research, photo editing and social media marketing. #1 Train youth in business and technology to stay competitive in the market. #2 Connect youth to local businesses and prepare them for internships and job placements. #3 Support our youth entrepreneurs with creating, planning, launching and marketing their businesses. Creative Lab Students place first and second place at the NFTE Regional Semifinals in San Francisco. Uriel joined Creative Lab in 2016. Since then he has created beautiful designs and led projects for Councilmembers and community leaders. Not only does Uriel lead Creative Lab, he is also the founder of his own design firm, Pineda Desgins. Uriel competed in the 2018 NFTE business pitch competition at College Track in San Francisco. "I always dreamed of becoming the first-generation college student in my family. Through the Creative Lab program, I’ve learned how thinking like an entrepreneur can help overcome world challenges such as the need for empowering women in stem. 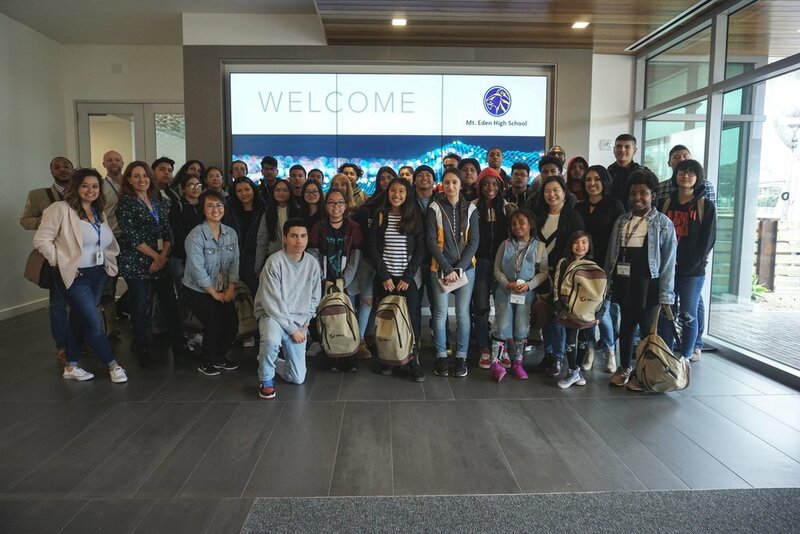 I was part of NFTE’S World Series of Innovation where my partner and I were nominated top 10 finalist for our project Next Female Engineers that focuses on helping Indigenous women who struggle to obtain a better education as a result of poverty and empowering them to pursue engineering." Elijah joined Creative Lab in 2016 when all odds were against him. Elijah is now attending 42 Silicon Valley so he can code his mobile app, Bladez Lab. He placed 2nd in the NFTE semifinals in 2017 at the Kapor Center of Innovation in Oakland and in 2018 at College Track in San Francisco. Joseph joined Creative Lab in 2017 and created FConnect, a mobile app to bring college and housing resources to half a million Foster Youth, so they don't suffer the same fate when he was in the system. Joseph competed at the NFTE national competition in New York City in 2018 and placed in the top 3 in the country out of 23,000 contenders. He worked with PayPal engineers to build his mobile app prototype in the summer of 2018. As I was starting a campaign for an elected office and not having experience running a campaign, I knew the importance of exposure via social media. I needed a professional website, a Facebook page, a logo and an information sheet to distribute to voters. I heard about Creative Lab's work and saw a sample of what they produced. I was quite impressed and decided to use their professional services. Creative Lab's services have provided me with much needed exposure and recognition in campaigning for political office. I have received many compliments on my website. Creative Lab is professional, accessible, creative and knowledgeable. Their team is punctual and meets timelines usually ahead of projected completion dates. They make requested updates/changes in a timely manner. Your partnership with Creative Lab tells our youth, like Joseph and Guadalupe that despite their daily struggles, there is a community who will support them as they strive towards their goals. Help us cultivate a world-class talent pool through the guidance of business executives and educators. 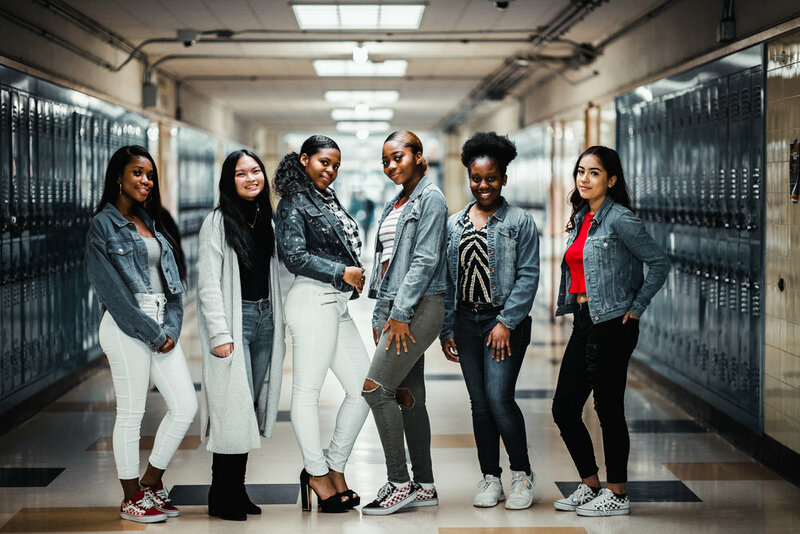 Your support provides a bridge of opportunity connecting youth from underserved communities to continuing education, employers, and disruptive start-ups. Guest Mentors have become a key part of the Creative Lab experience. They expose students to life experiences from the position of someone who has been there. Research shows that it helps students build crucial connections between what they're learning and real-world application. We would love to visit your place of business, have you speak to our entrepreneurs or judge one of our pitch competitions!